Westside Los Angeles Neighbors Network: LADOT Files Another CEQA Exemption for Venice Blvd. 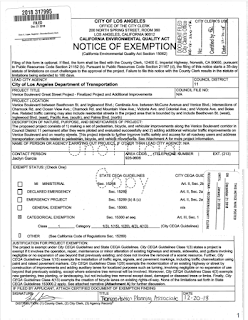 LADOT Files Another CEQA Exemption for Venice Blvd. 8:30 am at Venice Blvd. and Mountain View Ave.
Back in February 2017, the City filed it's first CEQA exemption for Venice Blvd. Because Great Streets Venice Blvd. 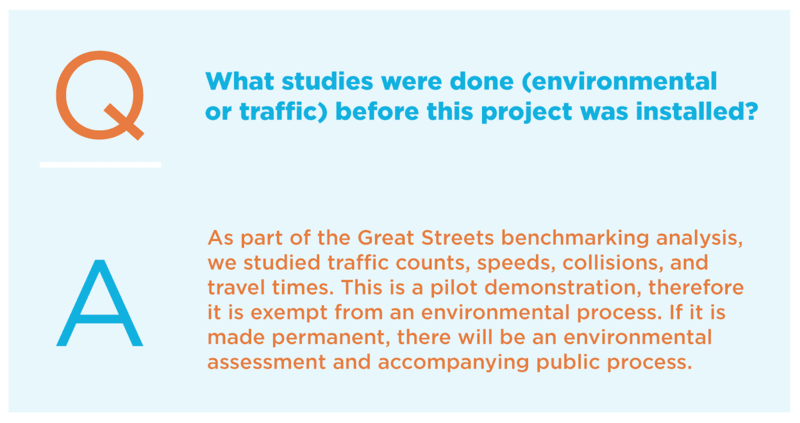 was a "pilot project", the City took the position that this project wasn't subject to an Environmental Impact Report (EIR). Filing the Notice of Exemption was their way of making this official. When an EIR is required, the City must give public notice and hold public hearings. Community input and feedback is a big part of the EIR process. The "pop-up" outreach that was conducted in 2015 by Councilman Bonin's office and the Los Angeles Department of Transportation (LADOT) fell short of the outreach activities required during the EIR process. The stakeholders of Mar Vista weren't looking for a CEQA exemption in 2017 because they simply had no idea what was in store for them. The City didn't disclose they were putting a road diet on Venice Blvd. When Councilman Mike Bonin released a video on Facebook on December 20, 2018, stating that the pilot project was a success and the changes on Venice Blvd. were staying, two questions crossed our minds. 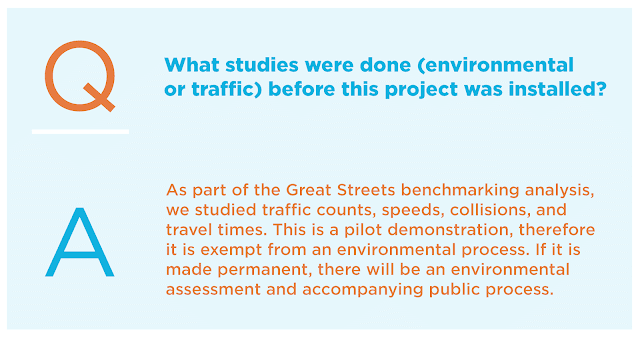 1) Will LADOT keep their promise made at the March 2018 Venice Blvd. Great Street Open House? The answers are: 1) no and 2) December 21, 2018. Please help us meet our 10k donation matching challenge. All donations go towards our two lawsuits. Learn more here.